Bluesun hotel ( ex-Truong GIang Hotel )features budget rooms with free Wi-Fi, motorbike parking, city map with all travel information. Offering 24-hour reception and room service, it is a 5-minute walk from Nha Trangs beautiful beaches. 'Clean, Safe, friendly and helpful staff ' is the goal we try to achieve and traverlers have described 'good value of money'. 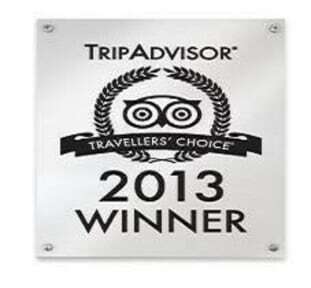 All this has helped us be rated number two in B&B and Inns in Nha Trang in Tripadvisor. We offer the service 'BUY - SELL - RENTAL (one way) - FIX ' motorbike if you travel around Vietnam by your own way, see the real Vietnam under local eyes. We're happy to give you the best tip from our local experience travel around Vietnam by ourself. Truong Giang hotel is located right in city center backpackers area, quiet, safe and clean, only a 5-minute walk from several dining options and a 40-minute drive from Cam Ranh International Airport. 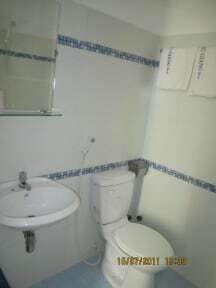 The hotels air conditioned rooms are equipped with fridge, cable TV, dresser. In-room bathroom features heated shower, toilette and essential amenities. Some selected rooms feature large window and shared balcony, desk and bathtub. Bluesun hotel ( ex-Truong GIang Hotel is the budget hotel for any traveler, whether they are backpackers, a young family or the more mature couple looking for a clean and friendly hotel to stay. 2- SUPERIOR TWIN ROOM with window, has 2 double beds for 2 persons, they have large windows & shared balcony, bathtub and desk. 3- SUPERIOR MAX 4 GUESTS with window, has 2 double beds for 4 persons, they have large windows & shared balcony, bathtub and desk. Motorbike for rent from 4 usd/day or laundry service and booking office at lobby.